Kawaii Kon 2018 was one heck of a year! From before opening ceremonies officially kicked off till after the 1, 2, and 3, 4 loop completed. A total of 12,527 fans came together with guests, industry, dealers, artists, and staff, to make this year one of the most memorable ever. We’d like to take a moment to look at some of the highlights. This year we had musical performances every day. We kicked things off Friday with Yuyouyuppe making original songs, Hitbox with their jazz performance and EMKE biding us all a tearful farewell in their final group performance. We kept things hot into Saturday with K-ble Jungle and ROOKiEZ is PUNK’D giving phenomenal performances. Capping it all off with Kondou Kaoru and Ryo Horikawa performing original ani-songs and the Final Fantasy concert on Sunday. Industry guests this year stayed busy throughout the weekend too. Funimation hosted a D.Gray-man lounge and announced the dub cast for Re:Zero − Starting Life in Another World. FAKKU returned to conduct handchecks. Aniplex brought the director and voice of Sagiri Izumi, the main character from Eromanga Sensei, together at Kawaii Kon for the first time. Bandai hosted an official Princess Principal Panel. Two seiyuu even cosplayed! Akane Fujita came dressed as Sagiri Izumi, and Ayaka Imamura cosplayed as Angie from Princess Principal. We had tons of incredible fan panels, fantastic local and visiting artists, and dealers offering more plushies than we know what to do with. Before the 2018 convention even closed the doors, we announced 4 guests for 2019; Stephanie Sheh, Michael Sinterniklaas, Hynden Walch, and Vic Mignogna! If you would like to help us improve for Kawaii Kon 2019, please submit our feedback form to let us know what you liked and what we can do better. 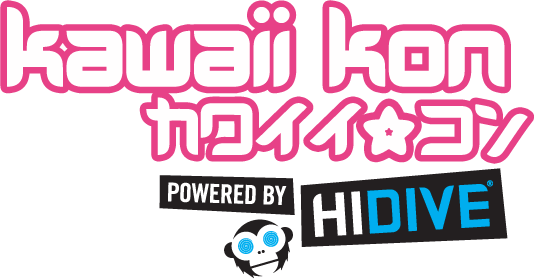 Kawaii Kon will be returning to the Hawaii Convention Center April 5-7, 2019! Registration is available now online at https://kawaiikon2019.eventbrite.com – we can’t wait to see you there!